Information on setting up the Miniserver with Loxone Config to log data. 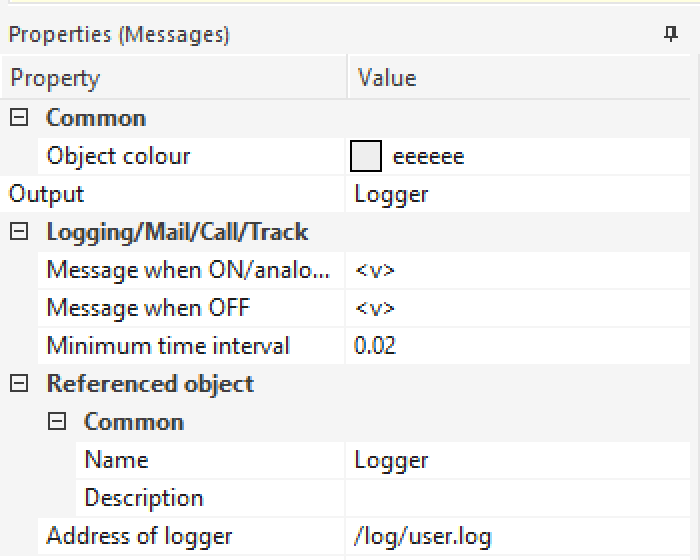 The Logger collects events in a log file. Any number of log files can be created. The events can also be sent to a syslog server or a UDP receiver. A logger is automatically added in when you open a new file. To see the logger, click on Messages in the Periphery Tree. This will display the options for adding other loggers, the Loxone Cloud Mailer, the standard Mailer, Caller and Trackers in the blue ribbon. If you click on the logger in the properties you will see you can add an address for the logger. In this field, enter the log address where the data should be recorded to. If left blank, the standard log (def.log) will be used. This log can be found on the Miniserver’s FTP server (ftp://username:[email protected]/log). 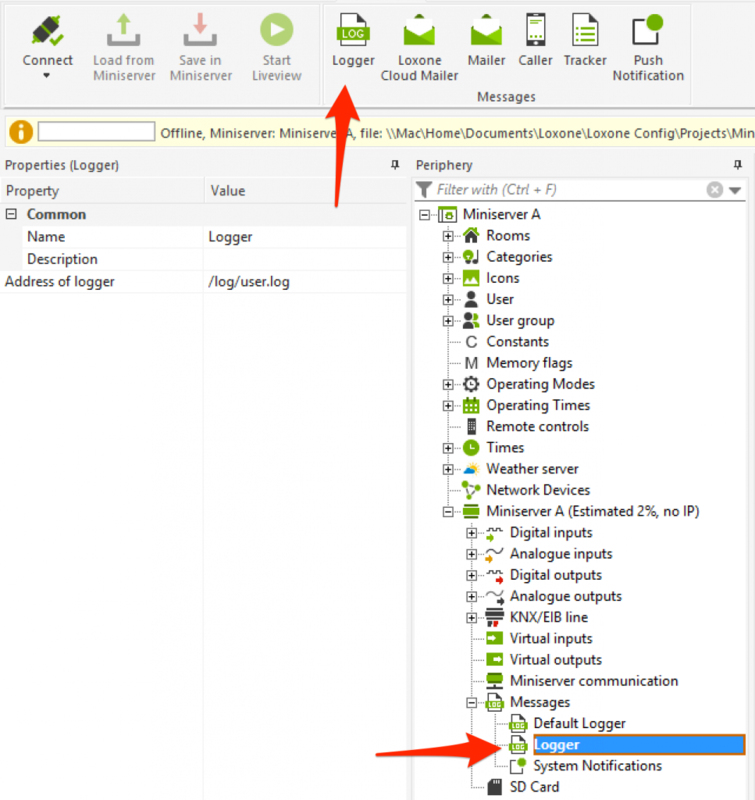 Once you add the logger to a page you will see another two fields in the properties called ‘Message when ON/analogue changes’ and ‘Message when OFF’. Specify in these fields which messages are written in the log file or sent to the syslog or UDP server. Note that a syslog server uses port 514 by default. When the /log/temperature.log file is being written to, then a separate log file called temperature.log is created and stored on the FTP server. In this example, a temperature is dynamically written to the log file. With this configuration, whenever the analogue value changes, the current value is written to the temperature.log file.